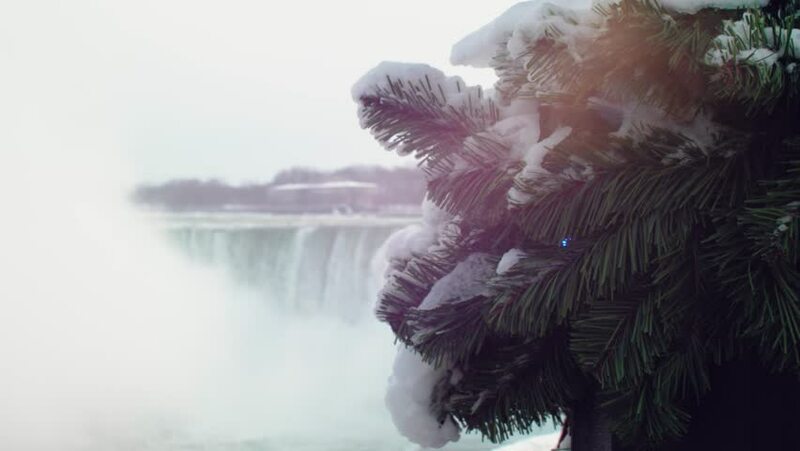 A Christmas Wreath (foreground) with Niagara Falls in the background (Canadian Falls). Shot in December 2017.
hd00:22Waterfall River Paradise Rapids Bridge. An scenic view of a massive converging waterfall. The waterfalls flow into a fast moving river bed below.